One of the country’s leading trial attorneys, Los Angeles personal injury lawyer Brian Panish has obtained some of the most significant jury verdicts in United States history on behalf of plaintiffs. His courtroom victories include a $4.9 billion record verdict in the landmark products liability case Anderson v. General Motors, over 100 verdicts and settlements in excess of $10 million, six verdicts in excess of $50 million, and more than 250 verdicts and settlements over one million dollars in personal injury, car accident, wrongful death and business litigation cases. 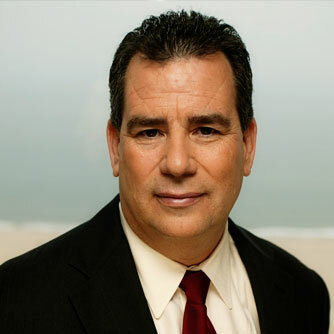 Mr. Panish consistently serves in a leading role in the largest personal injury cases in California and the country — he currently serves as Plaintiffs lead counsel in the Southern California Fire Cases litigation arising from the 2017 Thomas Fire and subsequent debris flows in Montecito, California and serves on the Plaintiffs Executive Committee for the 2017 North Bay Fires in Northern California. Additionally, Mr. Panish has been appointed Lead Trial Counsel in the Porter Ranch/Aliso Canyon Gas Blowout Litigation and has served in leadership roles in the Asiana Airlines Crash Litigation, the Olympus Superbug CRE Litigation and DePuy ASR Hip Implant Litigation, among others. Since 2011, Mr. Panish has obtained more than $500 million in verdicts including, among others, a landmark $53,745,374 verdict for two Southern California brothers who were severely injured following a head-on collision with CRST big rig, a $41,864,102 jury verdict and subsequent $46,000,000 settlement for a United States Air Force Captain who suffered catastrophic injuries after being struck from behind while on his motorcycle and then dragged the length of a football field and a half by a Southern California Gas Company truck, a $36.5 million jury verdict against Schneider National for a big-rig crash that left a woman with severe spinal cord injuries, a $34.5 million verdict for a man who suffered a below the knee amputation after being hit by a tractor trailer, a $17.4 million verdict for a Ph.D. student who suffered brain and jaw injuries during a rear end chain collision accident, a $17 million jury verdict against the Los Angeles MTA in the wrongful death of a visually impaired passenger, a $17.845 million award in a wrongful death case involving four family members killed when a Marine jet crashed into their home, a $20 million jury verdict for a woman who suffered a brain injury in a hit-and-run accident involving a J.B. Hunt tractor trailer, a $17 million jury verdict for a 84-year old man hit by a bus resulting in a leg amputation, a $15.3 million jury verdict for a woman and her daughter after the woman was severely injured on a negligently driven Alameda Contra-Costa Transit District bus, a $10.45 million jury verdict for the family of a security guard killed on the CBS studio lot and a $8.3 million jury verdict in the first DePuy ASR Hip Implant case to go to trial.